International waters have always posed as a calling for aspiring students, when it comes to acquiring education. Within these peripheries of international education, Australia stands out as one of the best investments in this field. What it promises is a large spectrum of courses to choose from, and is known for its quality of educational places. Australia has been ranked third as the most popular international student destination, according to The Organisation for Economic Co-operation and Development (OECD). Be it Arts & Humanities, Engineering & Technology, Physical Sciences or Social Sciences, Australia encapsulates within itself, a host of top ranked universities which impart unparalleled education in these streams. Moreover, the Australian Government's investment of over 200 million USD on student scholarships annually and the country being ranked 9th in the world university ranking system, act as add-ons to the whole dream of studying in the lap lands of Australia. The system of education has been modulated in a student-friendly manner, providing security along with enabling global aspirants to choose from a diverse range of study options, with more than 1,200 Australian institutions and over 22,000 courses to choose from. It believes in imparting education at all levels from primary and secondary school, to vocational education and training (VET), from English language to university education (higher education). And if that isn't enough reason, here are a few reasons why Australia should seriously be considered while planning to study abroad. Yes, you read that right; Australia is considered as one of the best culinary destinations in the world. From hosting one of the best food competitions 'MasterChef Australia' to housing various Michelin star restaurants, it becomes an ideal place for college students to choose their food palate from. Food is often a serious concern for people when they make plans abroad. Australia promises students a healthy life with a wide range of eateries that cater to different tastes, helping them live a healthy and comfortable lifestyle. Australia is home to some of the best institutions in the world. It generously provides students with a wide range of courses to choose from, and at an affordable fee. Australian education has helped students make a massive difference in the world. Their ideas and inventions have contributed immensely in the academic and intellectual sphere. Renowned companies such as Penicillin and Ultrasound heavily rely on the innovative discoveries and achievements made by the genius minds in Australia, which easily makes it the best places to study today. Not everyone can afford higher education, they are forced to earn while they are studying. Some are even compelled to give up their dreams as they do not have the funds to support their education. While some countries refuse to allow international students to earn while studying, Australia allows students to courageously fulfil their dreams without worrying about their finances. It readily allows people to work 40 hours per fortnight, giving them enough time to earn money and enjoy their weekends without feeling any guilt and remorse. Plus, working in a foreign country will give them immense exposure and a sense of great independence. Australia is a diverse country, allowing people from different origins to stay together comfortably. Young students who have never left their comfort zone, will get a chance to learn about other cultures and traditions. They will be exposed to different lifestyles that are inhabited by various people. Australia provides a brilliant space for students to explore their personality, as well as their likes and dislikes. With the constant increase in crime rates around the world, parents are sceptical about sending their children abroad to study. Australia becomes an ideal place for students to pursue their studies with its strict safety and protection measures. It does not tolerate racial attacks and criminal offences. The roads are well-maintained and taken care of for students to navigate. Immediate medical attention is given to the people by its government. Several medical services are available for people who are subjected to accidents or injury. Australia readily accepts students, keeping in mind their credentials. 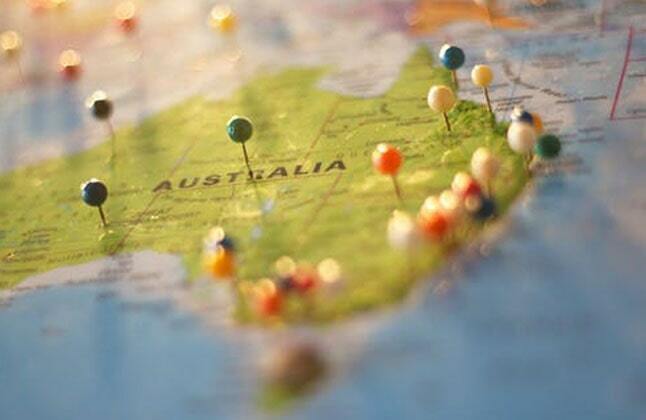 Australia has come up with an easy visa procedure that will enable students to apply for visas. The whole point of going abroad to pursue higher education is to get a good job and lead a better life. Australia gives students a beautiful chance to work in the country based on their talents and merits. Australia provides young adults ample of scope to make a huge difference in their country. It offers job opportunities in varied areas and disciplines. "Edwise was very very helpful and co-operative. Couldn't have got so far without my counselor. " "Amazing experience, fast track process and staff is really co-operative. My counselor is simply the best and very supportive. " "It has been an extremely smooth process for me once I had all my documents ready my counselor took care of everything. I would definitely recommend It to anyone applying to the overseas. " "Edwise has helped me in every way from booking IELTS date to lodging my visa application. I would recommend It to my friends in future."